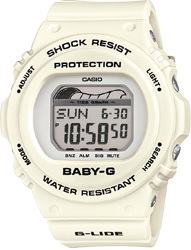 From the G-LIDE sports lineup of BABY-G models with Tide Graph capabilities come new round case retro models. 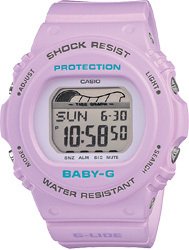 In addition to simple monotone black and white versions, this new collection also includes pink and purple models that are inspired by surf items of the 90's. Round cases combine with square LCD screens to create a 90's look, and the case and band are made of matte finish materials. 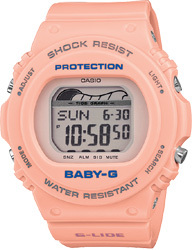 Function-wise, these watches come with Tide Graph, a feature that lets you look up tide information. 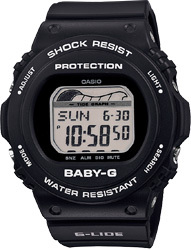 The height of the high tide is shown by the digital display as an easy-to-understand graphic image. 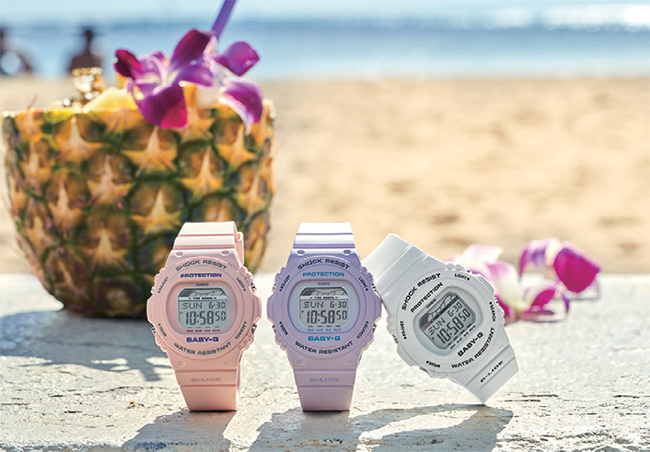 These new G-LIDE models are just the thing for a wide variety of beach activities and summertime fashions.